I’ve been through a lot in my life and there are things I’m not proud of, but I would hate to think anyone would judge me based on those things. I try to always remember that when dealing with people. I don’t know what they’ve been through, so who am I to judge someone else’s decisions? That’s not to say that I think harming people is okay, because it’s not; but I do think we should all be more accepting of each other. It bothers me that we make snap judgments of people based on their skin color, whether or not they have tattoos, the way they talk, the way they dress, how big they are… you name it, and there’s probably a judgment based on it. This song brought me to tears the first time I heard it, because it is a shame and we should just stop doing it. I also love this band so much! I’m so happy my daughter introduced me to them and that I rediscovered them this year. I hope you like the song as much as I do. So, won’t you give this man his wings? 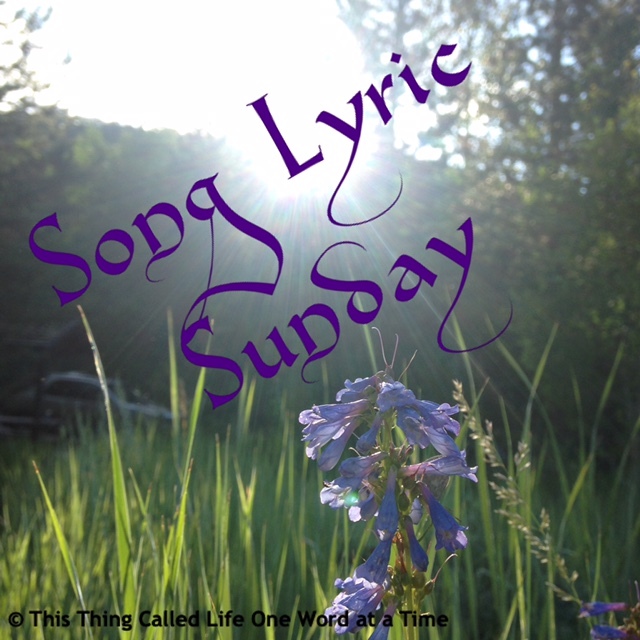 The Song Lyric Sunday theme for this week was to share a song that deals with judgment or the opposite-getting rid of judgment and being more accepting of everyone. It is open to anyone who wants to share music, so please feel free to click the link, read the rules and post one of your own. I’m actually really excited for the theme this week. I’ve been thinking about it since Tuesday… or was it Monday? I can’t remember. I was sick for the last part of the week and all the days have sort of melded together. I really dislike judgmental people, but the hardest part to acknowledge is that I have judgments of my own. I find myself doing it all the time throughout the day, and that’s a really hard thing to admit to myself and to you guys. But we all do it, even if it’s only in small ways. Note: Along with the theme for this week, I’d like to challenge you to recognize the many ways in which you judge people and try to stop yourself from doing it. I think the closer we get to accepting people, the better off our society will be. Our theme for Song Lyric Sunday is to post a song that deals with judgment or the opposite-getting rid of judgment and being more accepting of everyone. As many of you know, we’ve been in the process of selling our townhouse and buying a house that is bigger and fits our needs better. I honestly came to dislike so many things about the process, but the biggest one was showing our townhouse. It is so weird to think that strangers are walking through your house. It also became difficult to figure out where to go sometimes. You can’t always go to a restaurant and eat, but there just aren’t that many places to hang out for an hour or two. We’ve been to the library many times since to hand in books and check out new ones. For the most part, Andru was checking out Manga, but on our last trip to the library, he realized that the series he was reading didn’t have any new books. He walked over there for a few minutes, but then he was back with me. I was so surprised when he said he wanted to check out a “real” book. I told him I was the girl who always had a book in her hand when I was his age. I walked home from school reading a book; I sat at my locker and read books before school and in between classes; I lost sleep reading books. He admitted he did the same things and we laughed and shared a pretty special moment in the car. It’s always fun to realize you share something in common with your kids. Adelle and Jaxon love music and we share that love with each other. Andru likes music too, but not in the same way as the other two, so it was fun to realize I can now share my books and my love of books with my son. 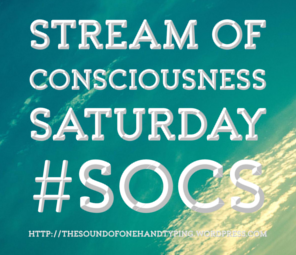 Stream of Consciousness Saturday is hosted by Linda G. Hill. “Your Friday prompt for Stream of Consciousness Saturday is: “novel.” Use it any way you’d like. 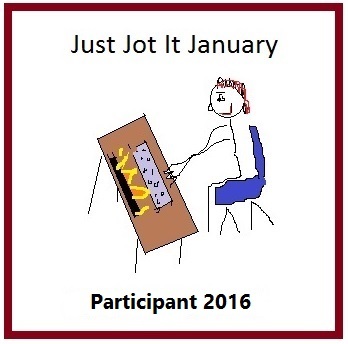 Enjoy!” Feel free to click the link and join us in our stream of consciousness writing.